The new peer-to-peer offering provides a hassle-free way for owners to generate income from their car when they’re not using it. General Motor's Maven is expanding its carsharing platform to include a peer-to-peer offering that enables owners and eligible lessees to earn money by renting their personal Chevrolet, Buick, GMC, or Cadillac car or truck model year 2015 and newer to driving members. The service is available now in beta in Chicago, Detroit, and Ann Arbor, Mich. The new peer-to-peer offering provides a hassle-free way for owners to generate income from their car when they’re not using it. Seamlessly integrated into the Maven app, Peer Cars will be available alongside Maven Cars for rental by more than 150,000 current Maven members. 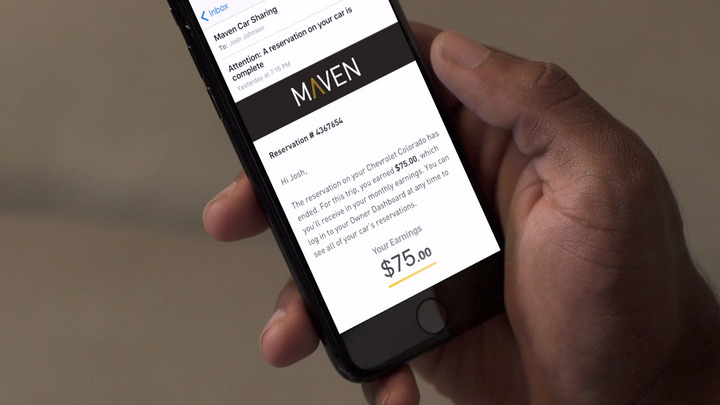 Eligible vehicle owners can start the process of listing their car with Maven by enrolling through our website. After more than 300 million miles driven and 180,000 reservations, Maven understands that trust is a key enabler to sharing. During reservations, all vehicles are insured through GM’s $1,000,000 insurance policy and every driving member is thoroughly vetted before they are approved to use the service. Owner support is available 24 hours a day, seven days a week from trained Maven and OnStar advisors. City station-based carsharing: Vehicles are available to rent for round trips by the hour, day, or month. University campus sharing: Cars available on campus for students to rent. Maven Gig: For rideshare and delivery drives. Cars can be rented by the week. Peer-to-peer carsharing: For GM owners to list their cars on the Maven app and earn income by renting to members. Currently in beta in Chicago, Detroit, and Ann Arbor. The Maven team will collect insights and learnings from the beta for additional U.S. launches in the fall.